The three main elements for digitization are Bertillon Cards, Newspaper Articles, and Correspondence. Since all of these artifacts are essentially flat, a flatbed scanner will be employed. 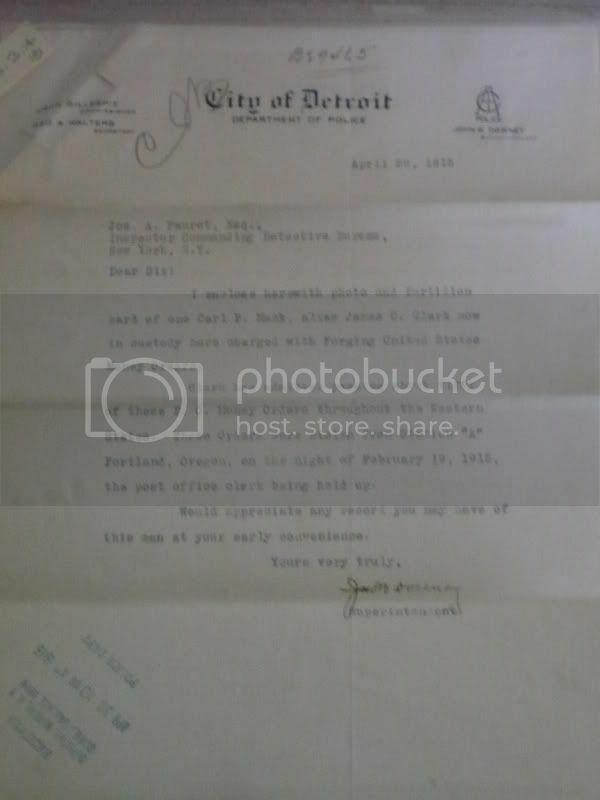 Two of the materials are textual and the Bertillons have photographs, so one scanner will be purchased along with Adobe Photoshop with an educational credit. Both the front and the back of the Bertillon Cards will be scanned. The mug shot will be scanned at 600 dpi and stored as an archival TIFF. 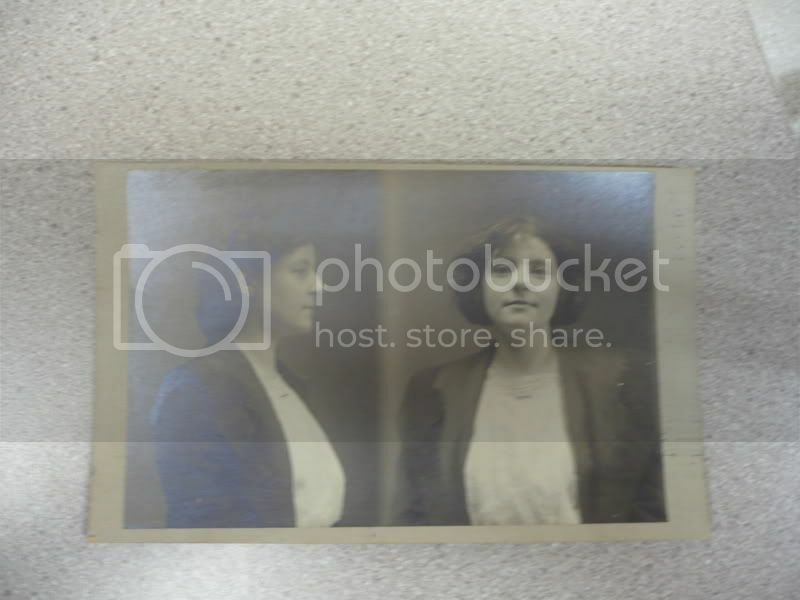 Each mug shot will also be scanned at 300 dpi and stored as a jpg. This version will be immediately available on the site as a thumbnail. 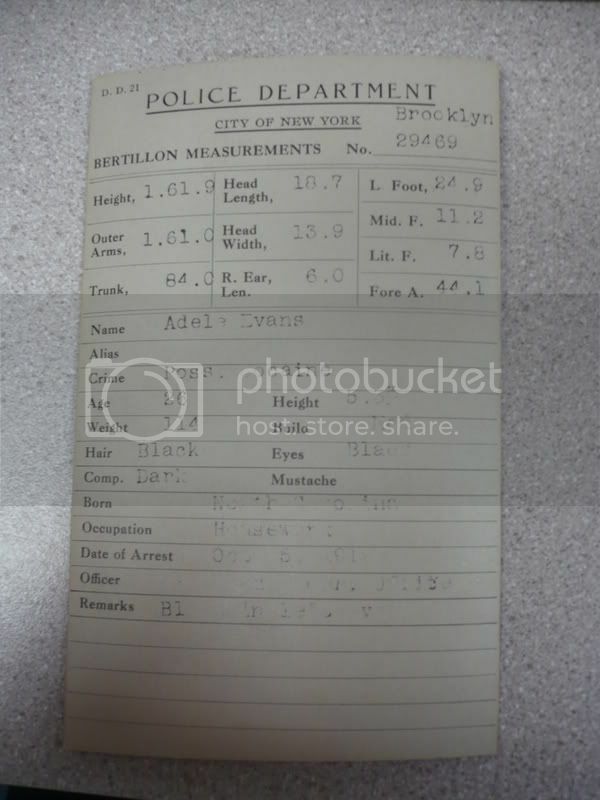 The back of each Bertillon card will be scanned, and transcribed for several reasons. Some of the printing is illegible or missing, printing is skewed, and the measurement table varies by card. 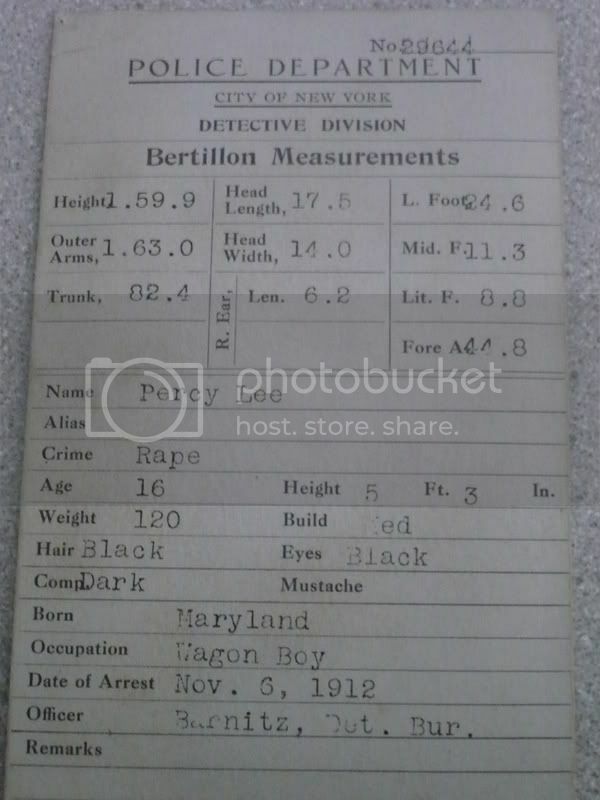 Here is a sample transcription of the Bertillon Card for Percy Lee (shown above). Any missing information is indicated by [Blank]. 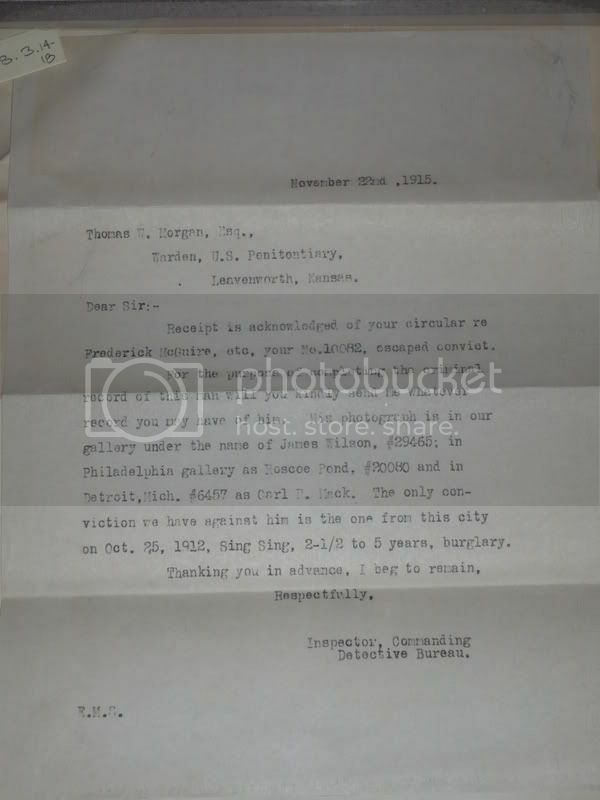 If information is provided but illegible, what can be deciphered will be transcribed with the note [I] indicating illegible information. Articles will be scanned on a flatbed scanner. The majority of the articles are in good shape and easily readable. These will also be scanned at 600 and 300 dpi, with the 300 dpi thumbnail jpg available. Each article will be transcribed and tagged with XML for search purposes. 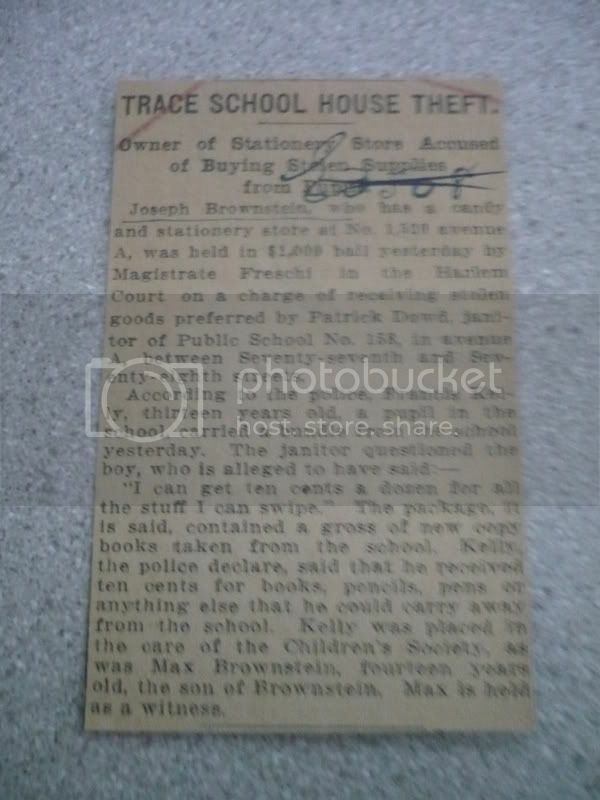 Joseph Brownstein who has a candy and stationary store at No. 1,520 avenue A, was held in $1,000 bail yesterday by Magistrate Freschi in the Harlem Court on the charge of receiving stolen goods preferred by Patrick Dowd, janitor of Public School No. 158, in avenue A, between Seventy-seventh and Seventy-eighth streets. “I can get ten cents a dozen for all the stuff I can swipe.” The package, it is said, contained a gross of new copy books taken from the school. 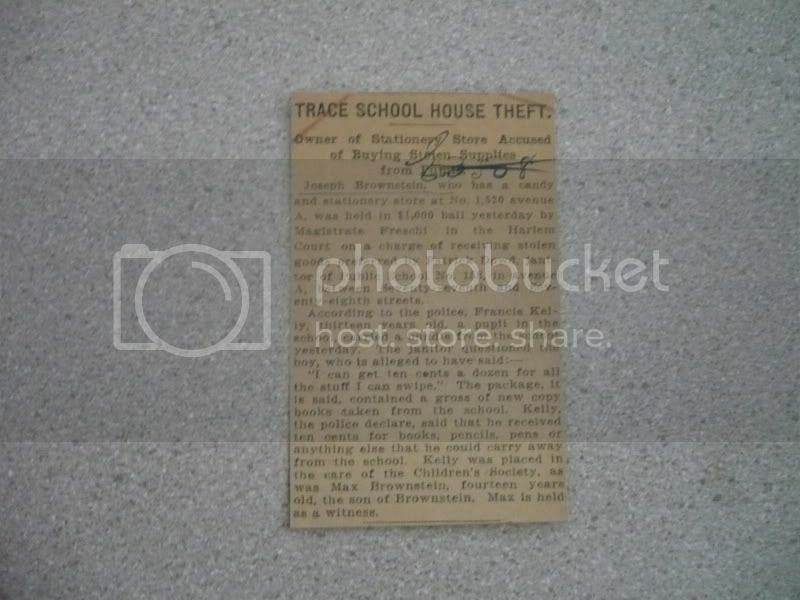 Kelly, the police declare, said that he received ten cents for books, pencils, pens, or anything else that he could carry away from the school. Kelly was placed in the care of the Children’s Society, as was Max Brownstein, fourteen years old, the son of Brownstein. Max is held as a witness. There are several different styles of what can be called “Correspondence”. The larger pieces of paper in the envelope always pertain to that particular individual. Some ask for information about the individual from different correctional institution. Some are criminal records. There are even wanted posters. Each text specific document will be scanned at both 300 and 600 dpi with the jpg thumbnail available on the site and a link to the archival original. The most important information on these documents is the same elements as the cards (names, dates, crime, etc). This information will be tagged and made searchable. Receipt is acknowledged of your circular re Frederick McGuire, etc. your No.10082, escaped convict. For the purpose of completing the criminal record of this man will you kindly send me whatever record you may have of him. His photograph is in our gallery under the name of James Wilson, #29465; in Philadelphia gallery under Roscoe Pond, #20080 and in Detroit, Mich. #6457 as Carl P. Mack. 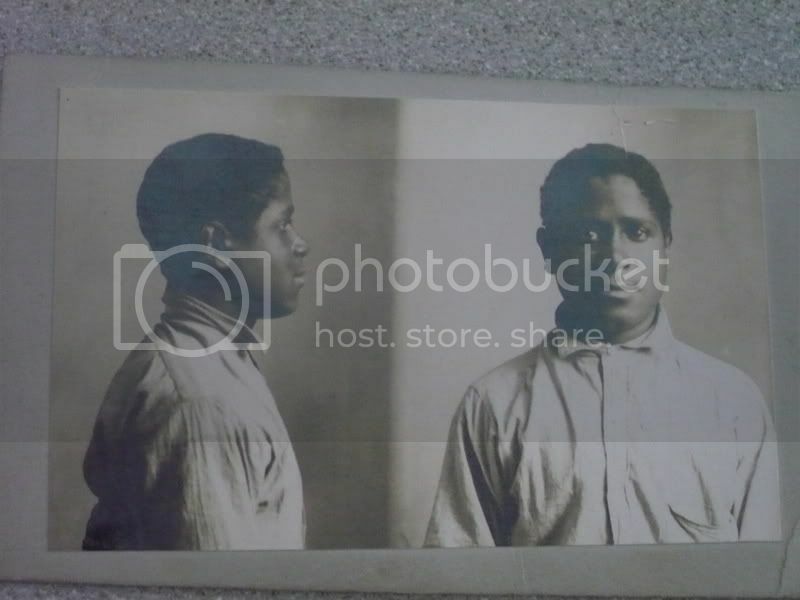 The only conviction we have against him is the one from this city on Oct. 25, 1912, Sing Sing, 2-1/2 to 5 years, burglary. This is some thorough work! Will the thumbnails be organized in a certain way? Crime/Gender/Race/Chronological?